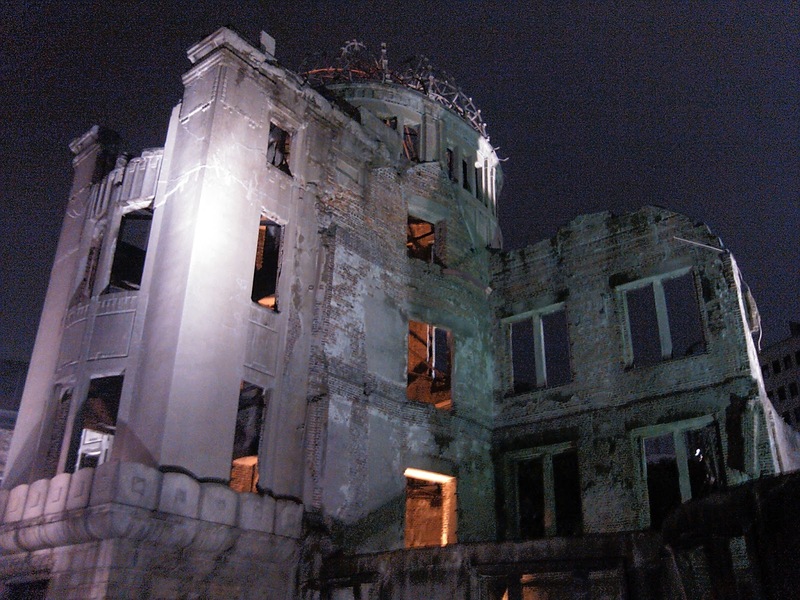 This is part 2 of a blog post about my recent trip to Hiroshima. You can read part 1 here. 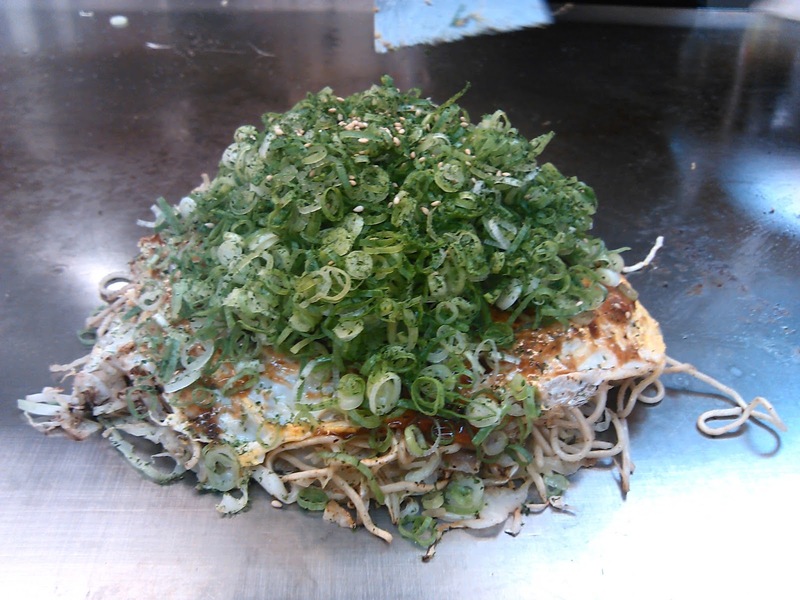 Some of you will know about my love of Hiroshima style okonomiyaki and my "pursuit of perfection", trying to find a great okonomiyaki restaurant in Tokyo. 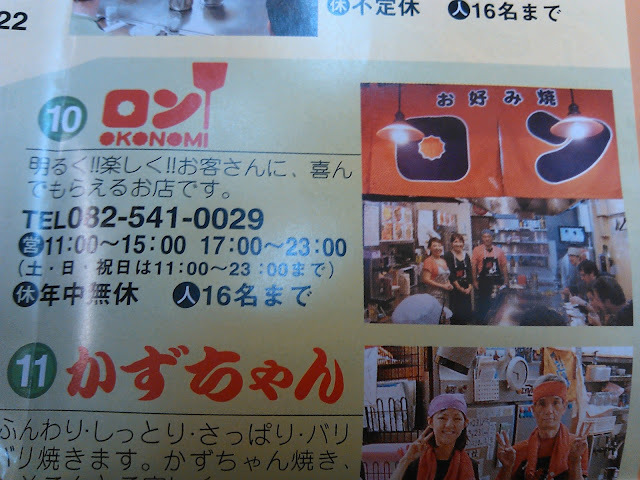 Well I was now in the home of okonomiyaki and I was determined to have some great okonomiyaki. 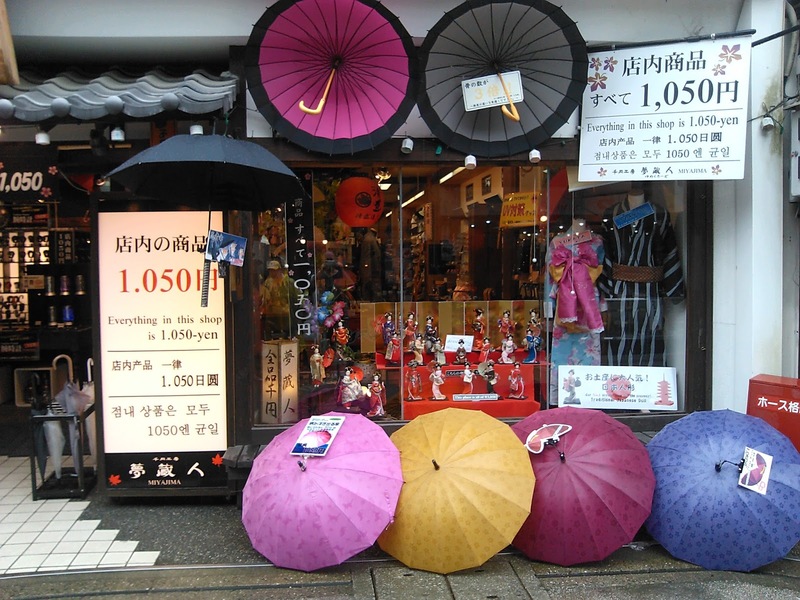 We woke up in the morning and guess what.......it was raining! 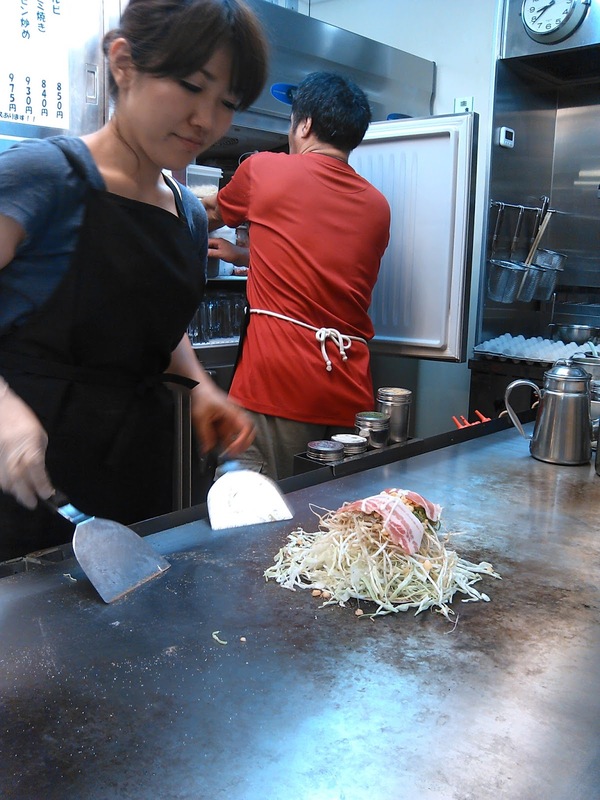 After dropping my bags off at the next place I was staying at, all of us went in search of okonomiyaki. On our way, we walked along a covered shopping street. Halfway along Toby and I saw a sign that was a real blast from the past! 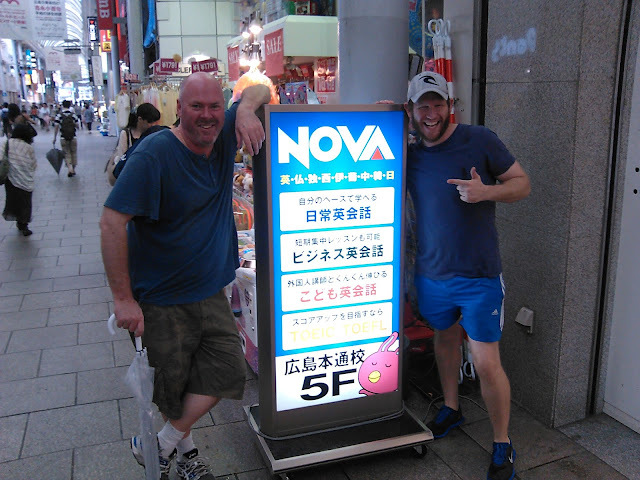 Nova was the company that Toby and I both used to work for. The company eventually went bankrupt, and I know a lot of people (Toby included) were affected by that. 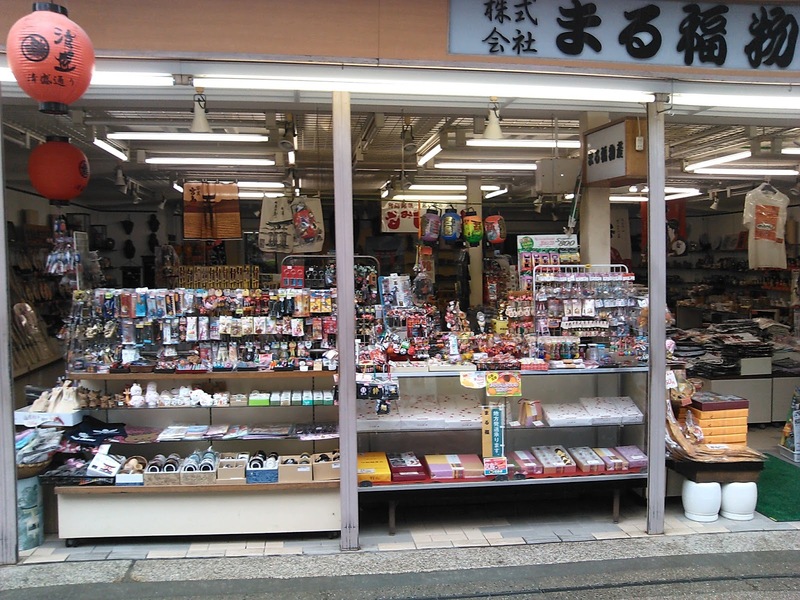 It was bought out by another company, but now operates on a much smaller scale than before. 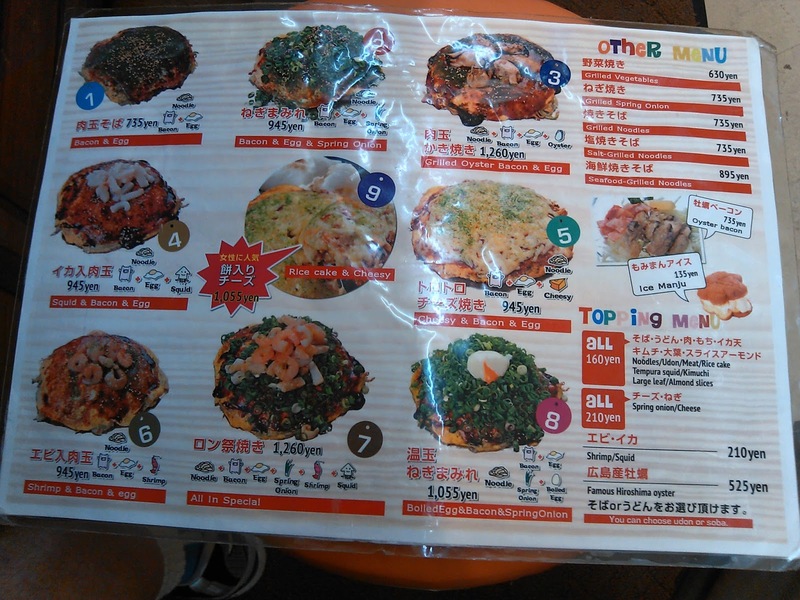 We went to an okonomiyaki place called Michan. I would have liked to show some photos of the okonomiyaki being cooked but for some reason they don't allow photos to be taken, so this shot outside the restaurant after we stuffed ourselves will have to do. It was good, but for me, not the best but I know the others loved it! By this time, it was 1 o'clock so we went back to our Ryokan from last night so everyone else could get their bags and the set off to Miyajima island. 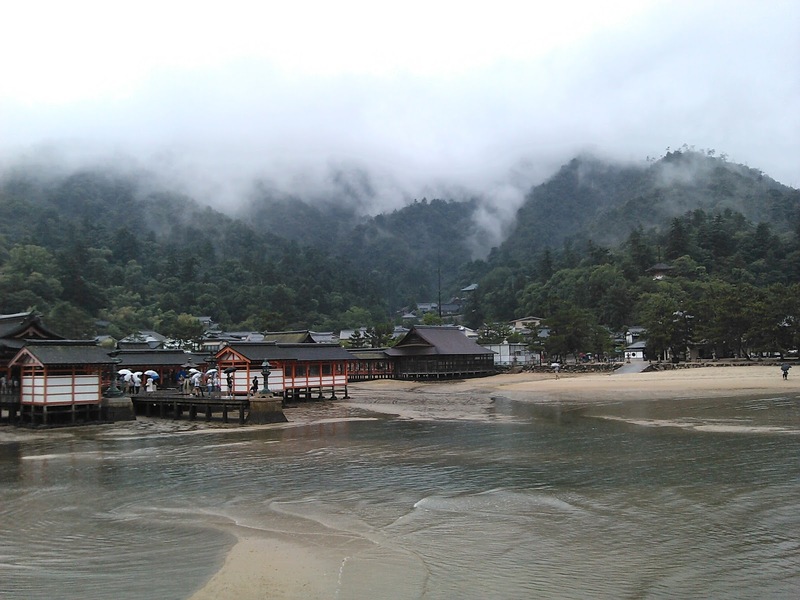 Miyajima island is off the coast of Hiroshima and accessible via a 15 minute ferry ride. As terrible as the weather was, it did make for some spectacular photos of the island from the ferry. Very hauntingly beautiful! 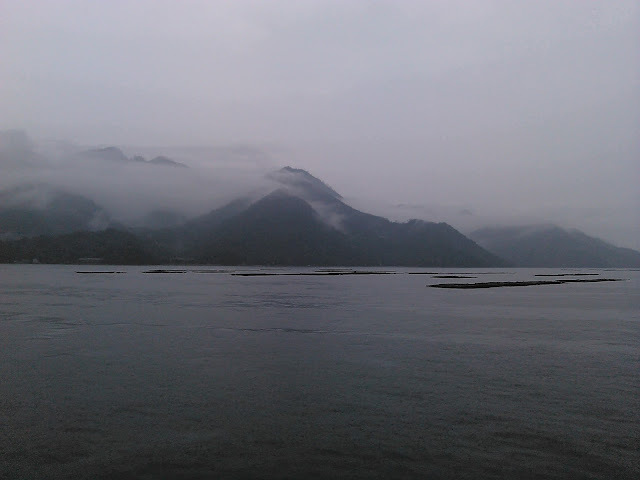 It seriously felt like I was in a Jurassic Park movie! 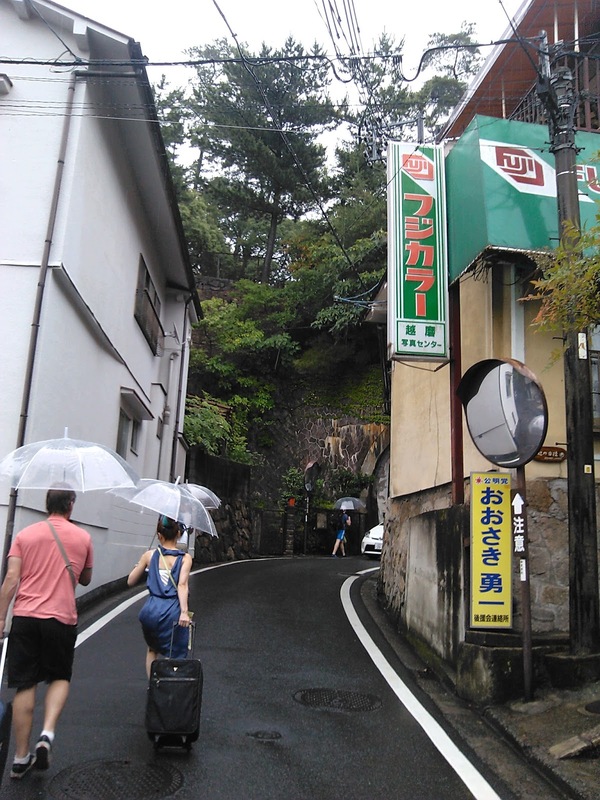 We got off the ferry on the other side and made our way to the hotel where Toby, Tim, Steve and Eriko were going to stay at for the night (I had decided to head back to Hiroshima for the night and stay there.......for more okonomiyaki!) 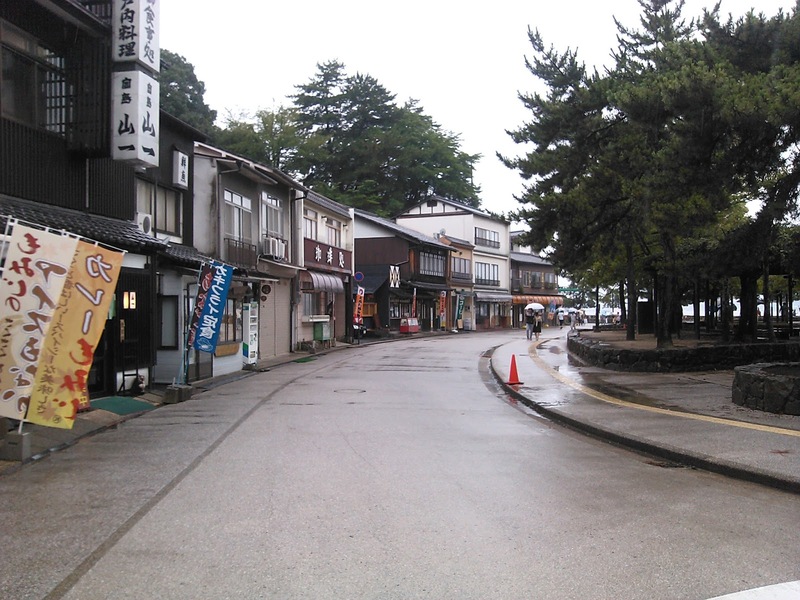 It was about a 5 or 10 minute walk after we arrived. 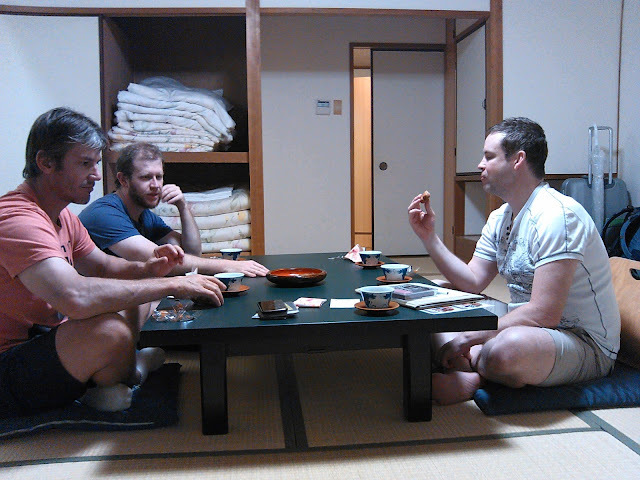 The room at this place was very nice, and Japanese style as well. 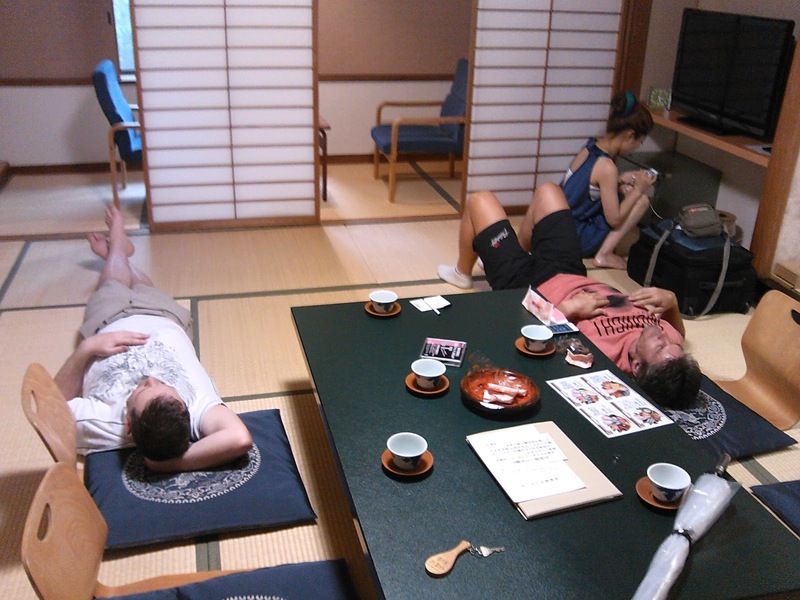 The hotel staff who showed us to their room also made some tea for us and left us to relax. it was time to head out again and explore Miyajima island. 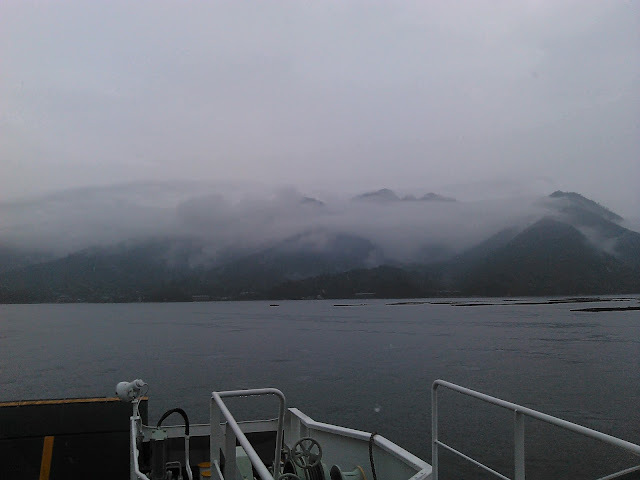 I said before that I felt like I was heading to Jurassic Park with the way the clouds were hanging low over the mountains, but there were no dinosaurs on Miyajima island, just these guys. 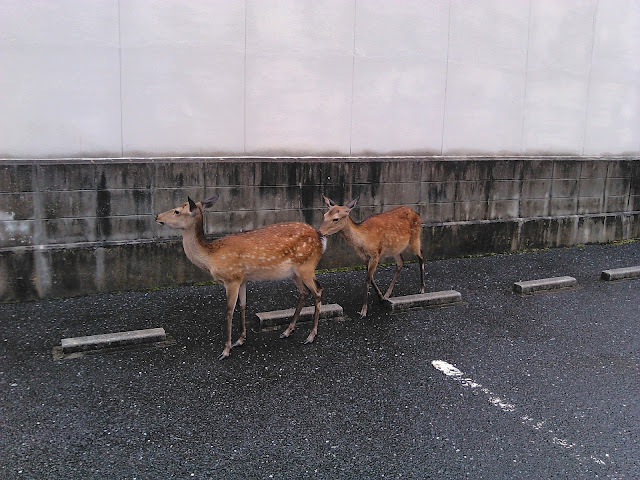 There were a lot of deer, just wandering the streets. 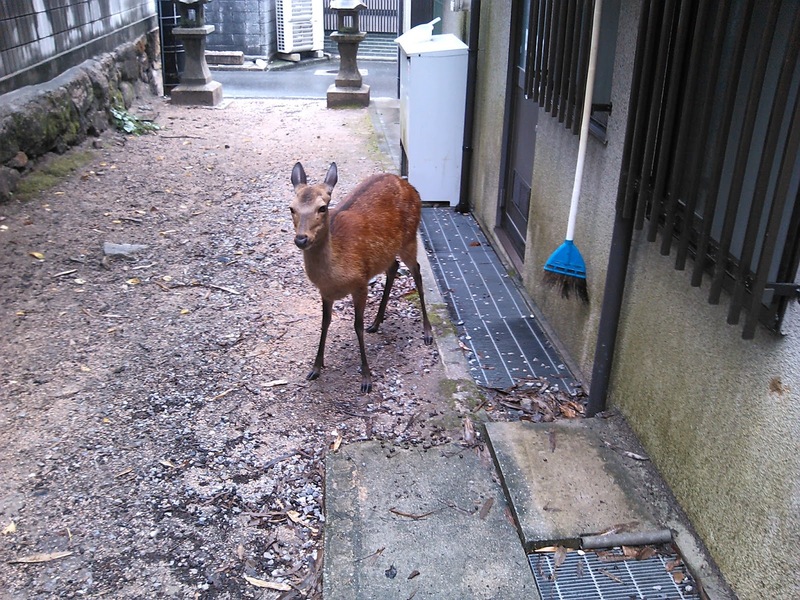 Some of them would come right up close behind you and sniff your pockets looking for food. 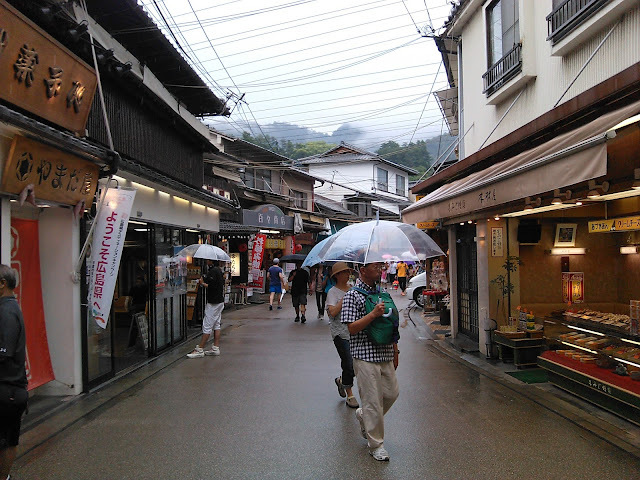 A lot of the buildings on Miyajima are beautiful traditional style, just how I like them, and the shopping streets with all sorts of shops was great! This was the street that ran along the sea, near the ferry port. 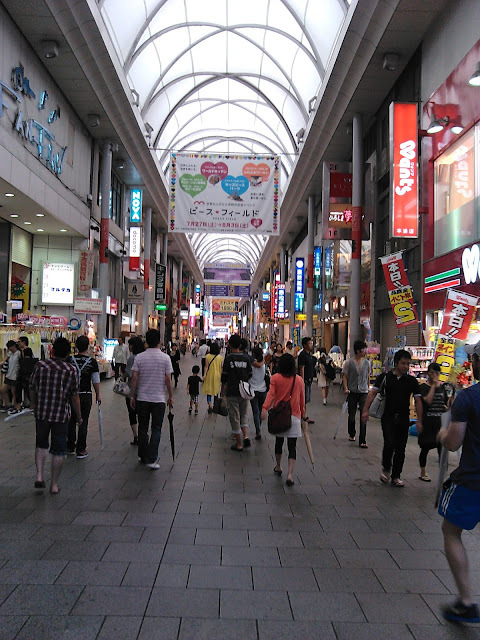 And the main shopping street just behind it. 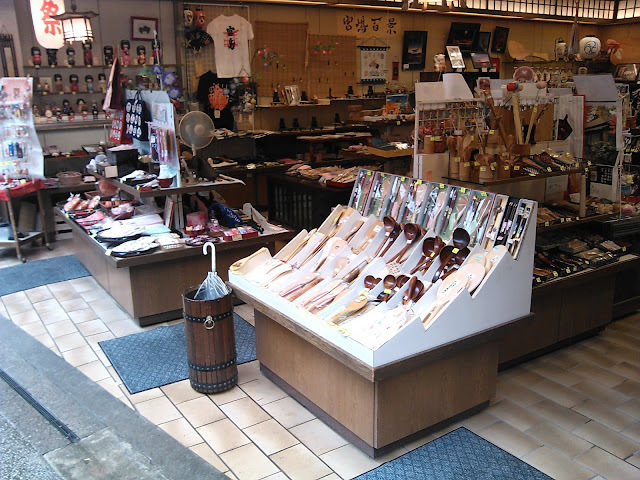 Wooden spoons are a popular souvenir from the island. Wooden spoons are traditionally used to serve rice here as they don't affect the flavour of the rice. 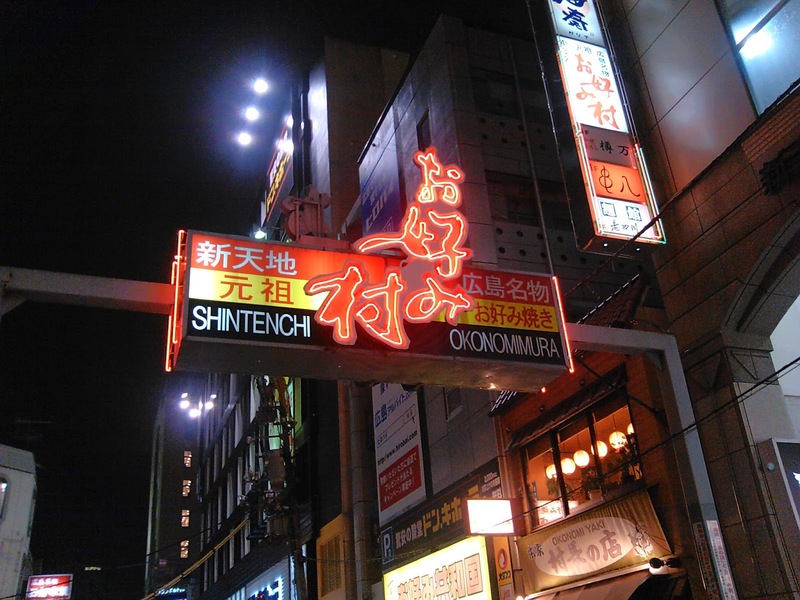 Okonomiyaki restaurants, of course......no, I didn't go in! 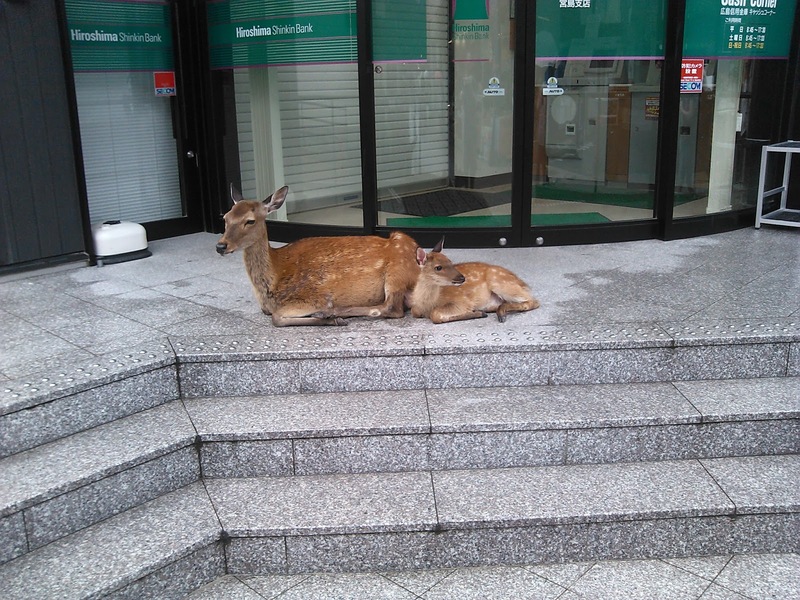 And another shot of the local wildlife relaxing on the steps of a bank. Deer are considered sacred in the Japanese Shinto religion as they are seen as messengers of the Gods. Wandering along the street we saw, off to the side, a set of very steep steps heading up somewhere, so, of course, we went up! 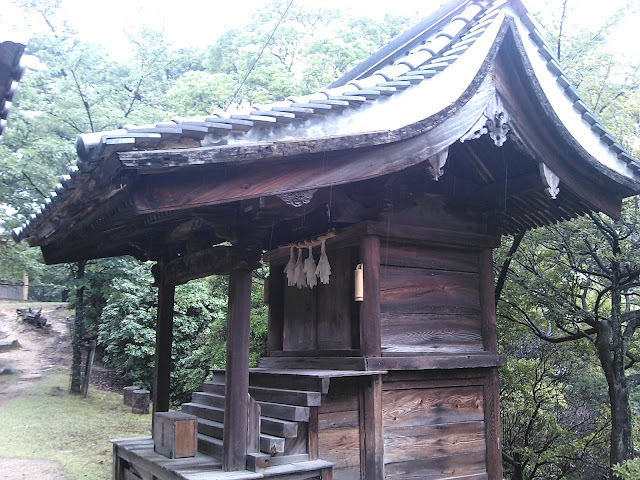 At the top was a nice little shrine, and a fantastic view over the town. 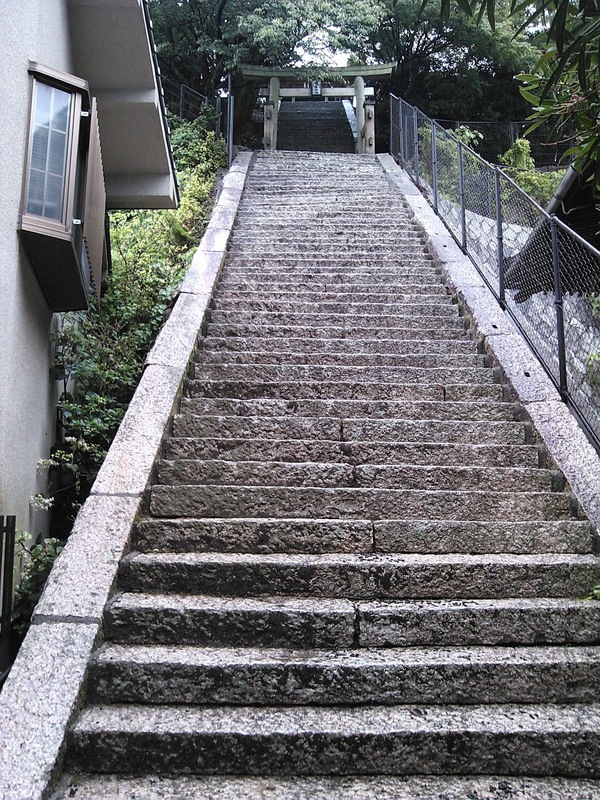 Coming back down the steps were pretty dangerous with all of the rain and deer cr#p on them, and sure enough, one of us took a fall. Luckily it wasn't serious, but we got down to the bottom of the steps and this guy was there staring at us. It had an evil look on it's face like it was thinking "Yes, got him!". At the end of the shopping street was the entrance to Itsukushima shrine which is World Heritage Listed. 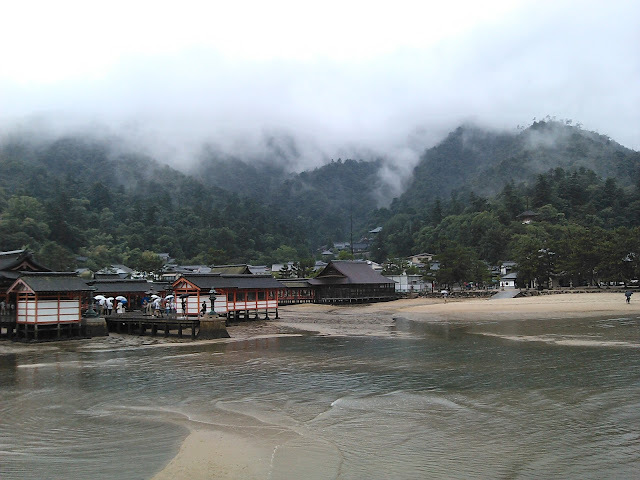 Itsukushima shrine is also famous for it's Grand Gate that is set out in the ocean, and at high tide it is a fantastic view. At low tide you can actually walk out to the gate. Luckily, the tide was in when we were there. 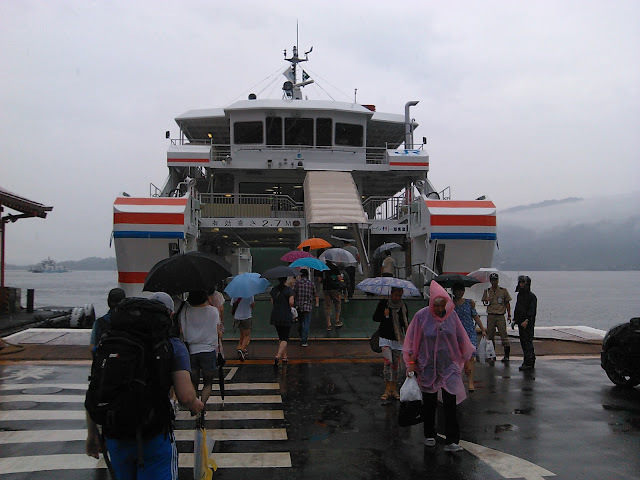 Pretty soon it was time for me to be heading back to Hiroshima so I said goodbye to the others and headed back to the ferry port and back to Hiroshima. 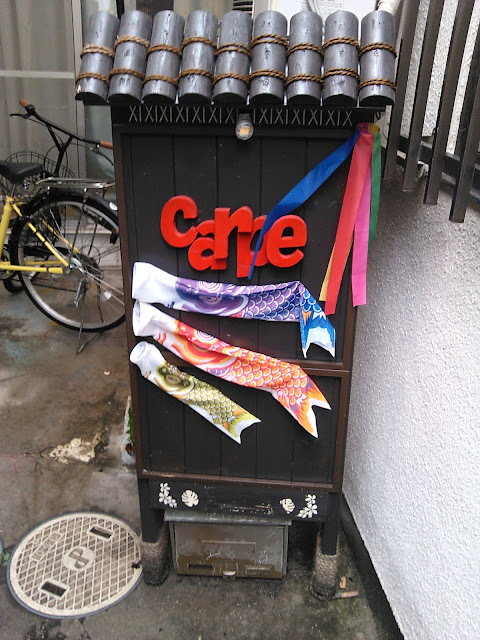 The place that I stayed at for the second night was a Guesthouse called Guesthouse Carpe. Carpe is owned and run by a friend of Toby's called Kayo. 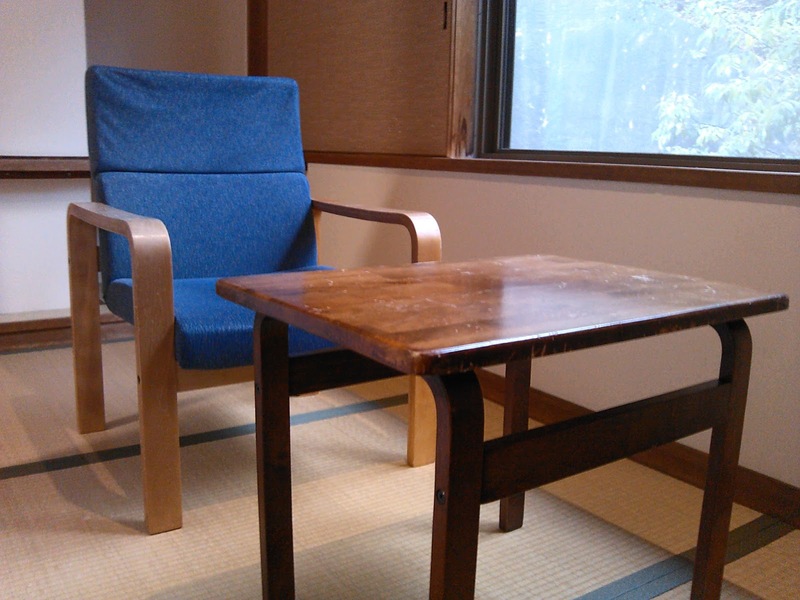 Guesthouse Carpe has quite high ratings on tripadvisor, and for good reason. 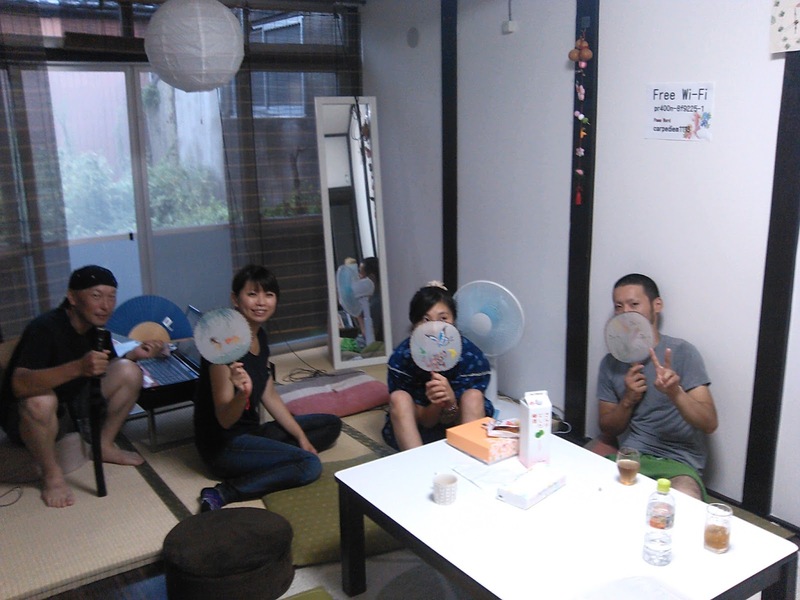 Kayo is very welcoming, friendly and goes out of her way to make you feel comfortable. 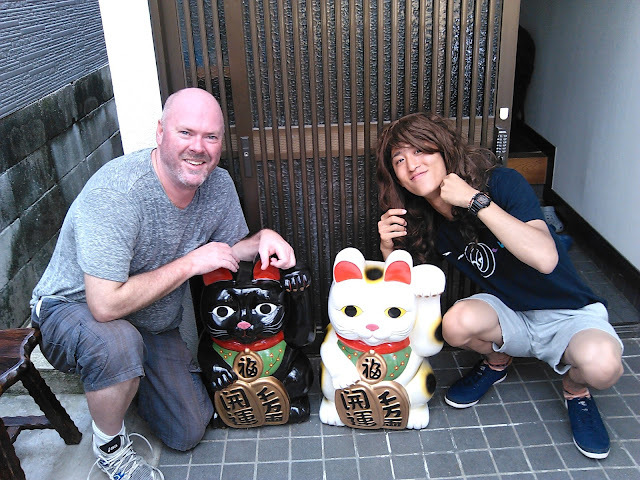 In fact, the whole time I was there, It just felt like I was family or a friend, rather than a guest, and this is one of the reasons it gets sch high ratings. 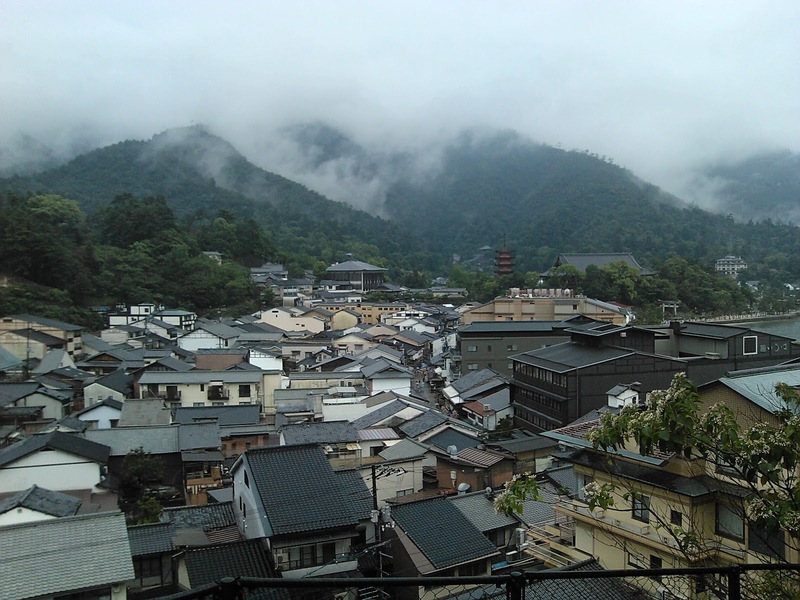 If you are going to be heading to Hiroshima, then you should check out Guesthouse Carpe. Later that night I went back into the city to go to a place called Okonomimura. 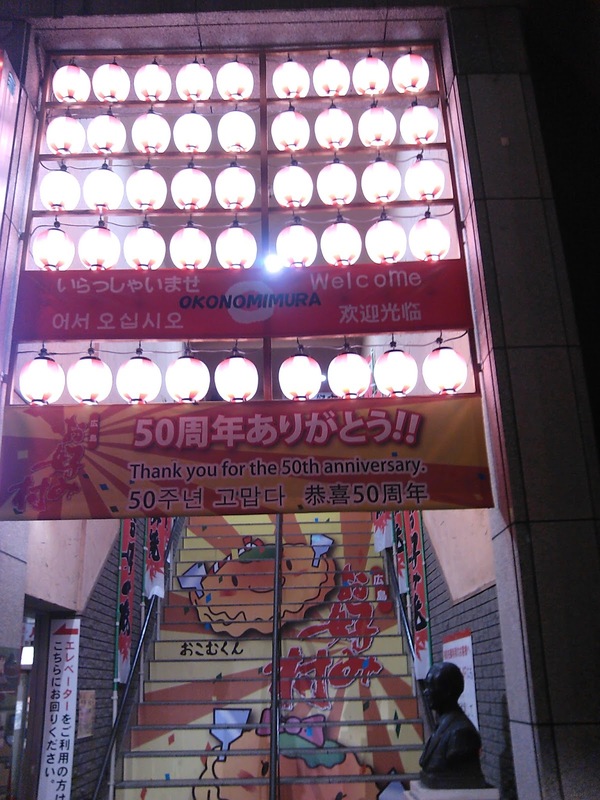 It is a building with more than 20 okonomiyaki restaurants in it! Wow, talk about paradise!! Imagine trying to make a choice about which one to eat at. That is exactly what I was contemplating when I hear "Hello, welcome we have an English menu". That was all I needed. I turned around and saw a lady (Yukina) with a big smile on her face and I went on in to her restaurant. The name of the restaurant was simply "Ron". 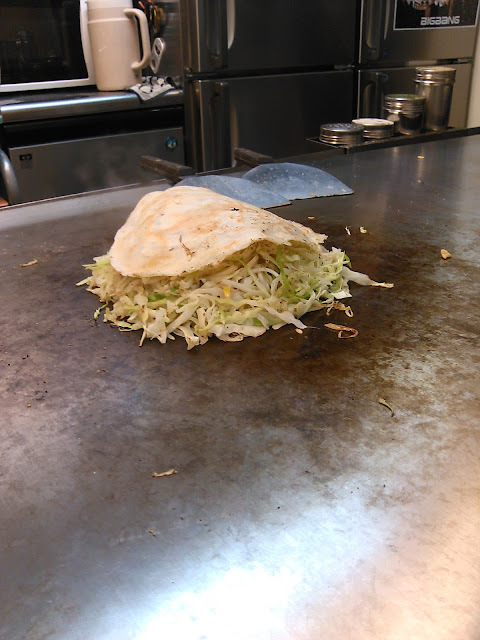 It then gets flipped over and the cabbage and bean sprouts start to reduce in size. Next on to the hotplate are the noodles. 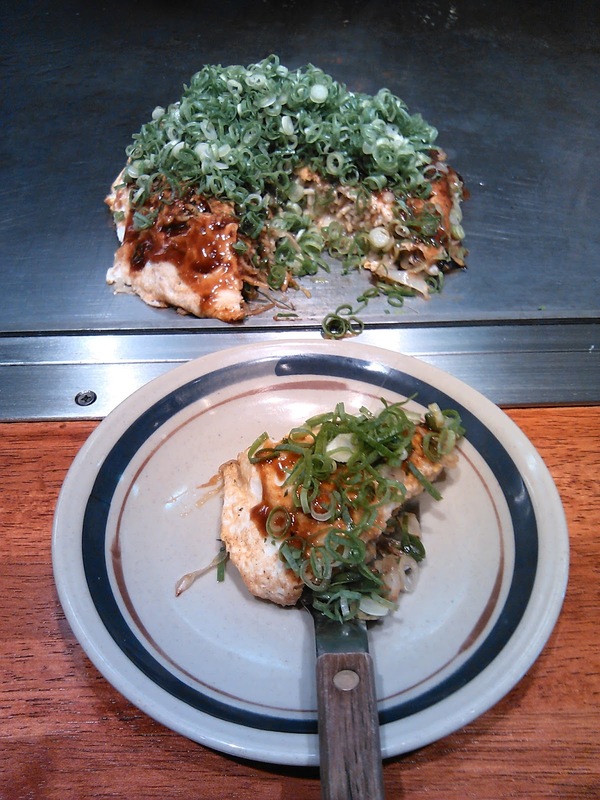 An egg is cracked onto the hotplate and everything is put on top of the egg. It is then flipped over again and covered with a sweet sauce and spring onions. I didn't get photos of all of that because I was too excited! Here is the finished product. It didn't last very long, and it was good! I stayed on after I finished the okonomiyaki as there was a soccer game on tv. 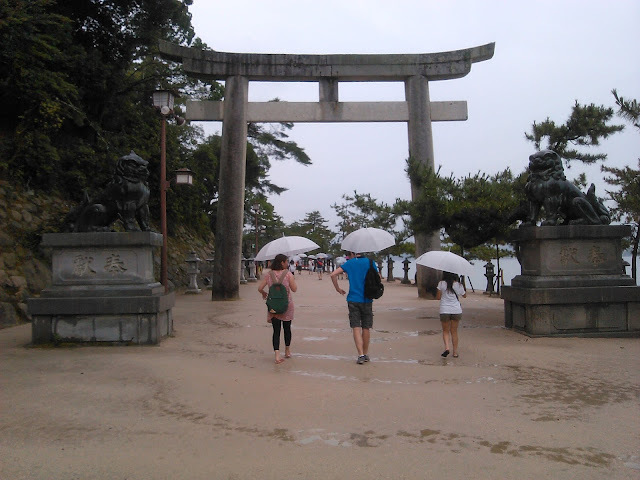 Yukina and I had a chat, half in English and half in Japanese, (where I could). 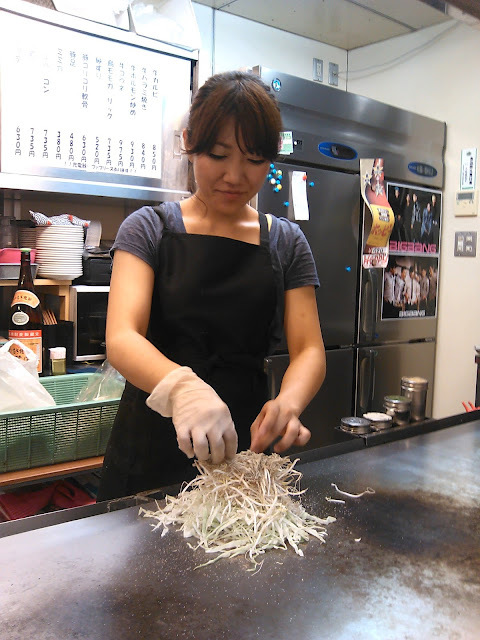 Again, if you are heading to Hiroshima, head over to Okonomimura and find "Ron" and say Hi to Yukina and enjoy some of her okonomiyaki. 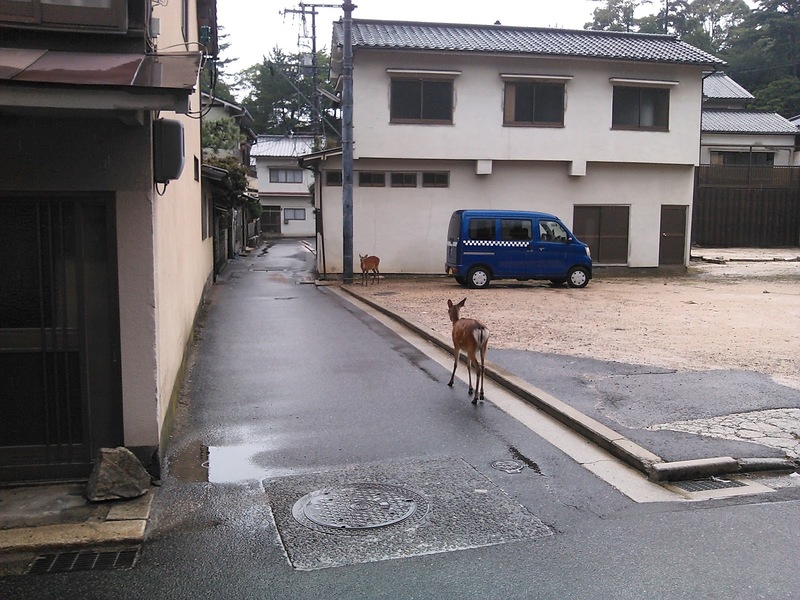 I left Ron and headed back to catch the streetcar back to Guesthouse Carpe. On the way I passed the nuclear dome again and it was lit up. I had to stop and take some pictures. 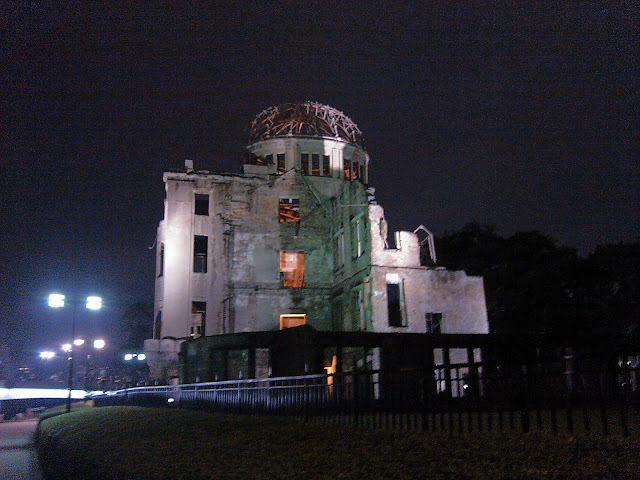 It was a beautiful sight, standing there proud and defiant, a symbol to the rest of the world of the resilience of the people of Hiroshima. My time in Hiroshima was, unfortunately, coming to an end. 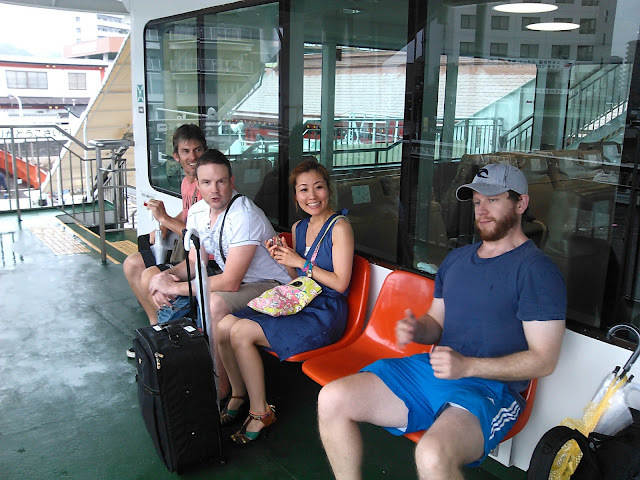 I woke up the next morning and said goodbye to Kayo and went back to Hiroshima train station to meet up with the others. 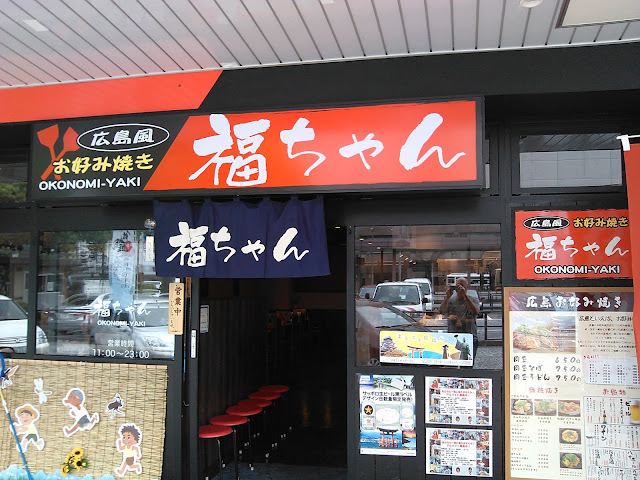 I got there early and figured I had time to fit in one more meal of okonomiyaki, so I found "Fukuchan" just outside the station. Another good meal, and I was satisfied. I met up with the others in the train station. 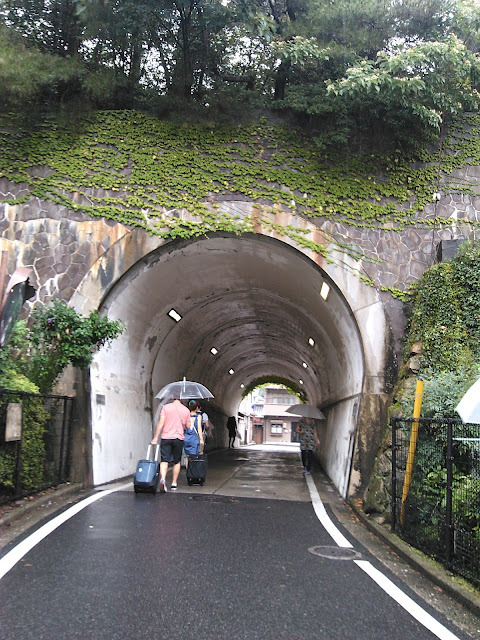 As it turned out, I took a different train, so I said goodbye and made my way back to Tokyo. I had enjoyed spending the last couple of days with some great people, especially Toby, Tim, Steve, Eriko and Kayo. It was an emotional couple of days, and I had seen some things that were quite confronting, but very important to see nonetheless. Two days was not nearly enough, however, and I do plan to go back to Hiroshima and spend some more time there, stay at Guesthouse Carpe and eat okonomiyaki from Ron. Well, that's it from Hiroshima. I hope you enjoyed reading as much as I enjoyed being there. See you again soon. 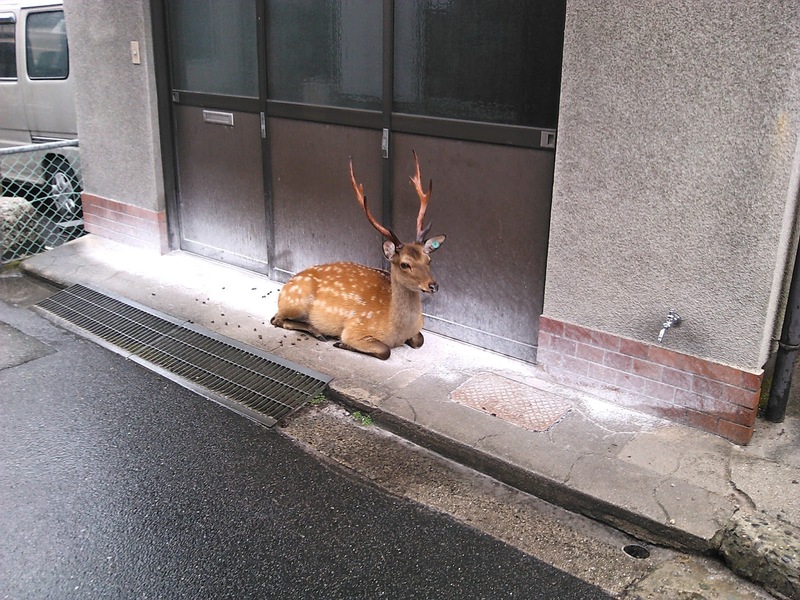 there are so many things that I enjoyed about this post! 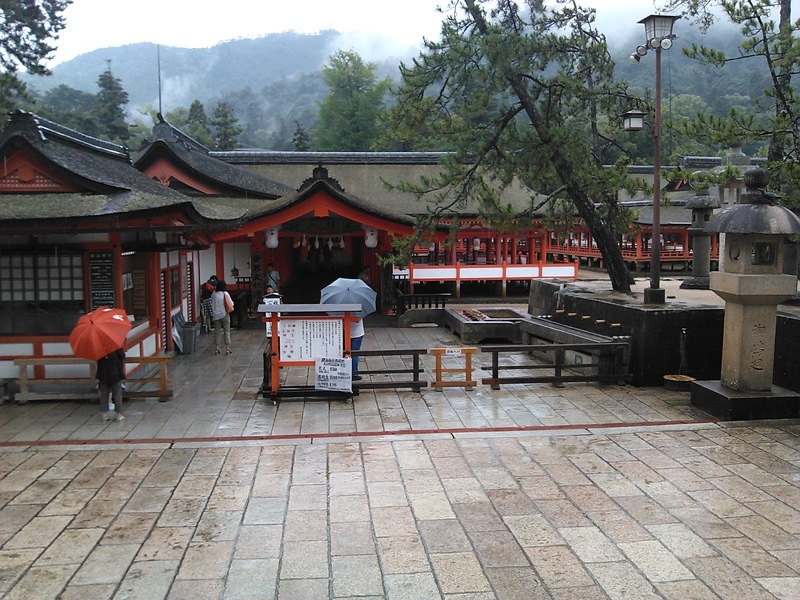 Some really, really fantastic pictures and places...The Heritage listed area looks really beautiful. Those deer are adorable,the grand gate is great,(I have always thought it looked really cool and you were actually there)and the nuclear dome at night looks amazing. 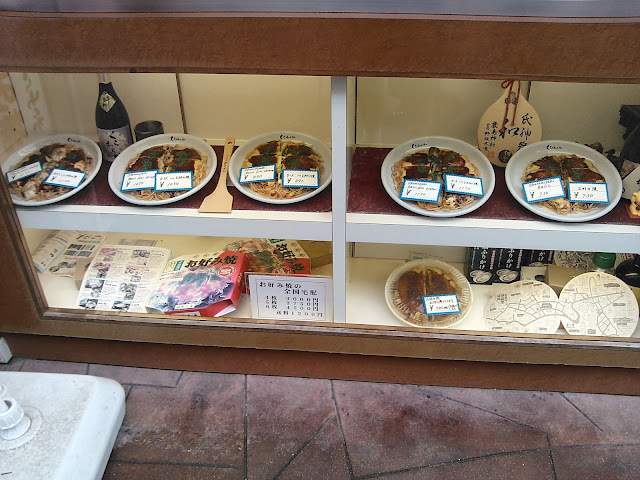 Oh, AND the okonomiyaki looks really yummy by the way! I wonder if I could make it. Have you tried? I can't make the okonomiyaki. 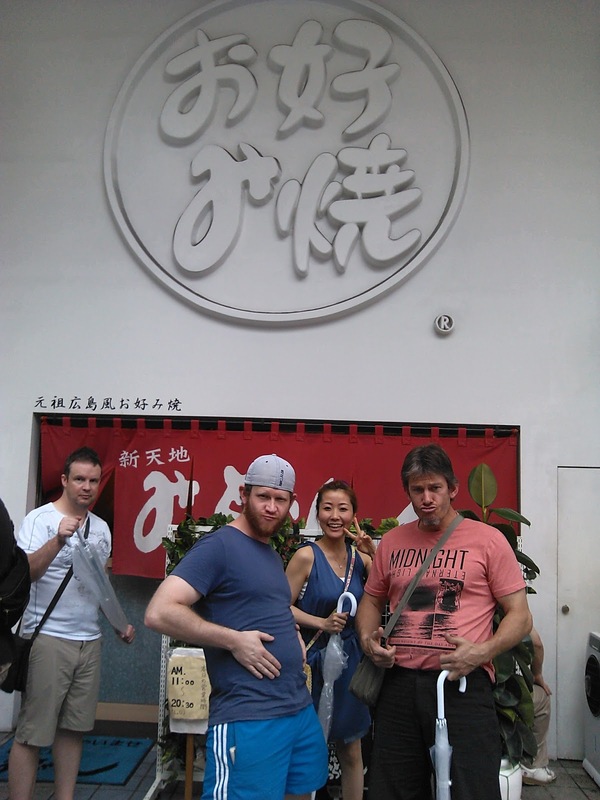 The sapce you need would be like a large size BBQ hotplate in Oz, and you just don't have that here. 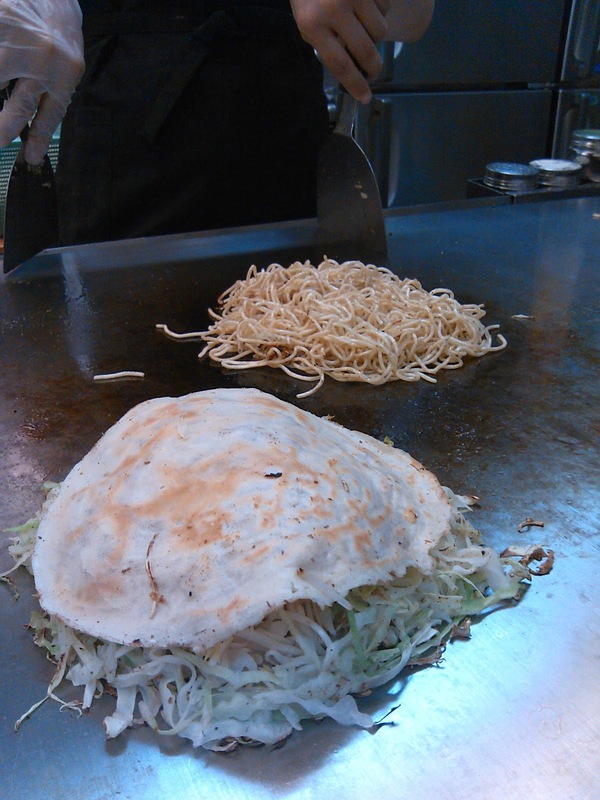 There is another style, Osaka style that I have often cooked as all you need to do is mix everything together and cook it like a pancake, so that is a little easier. The nuclear dome at night was amazing. Tomorrow (the 6th) is actually the anniversary of the bombing and they always hold a memorial service at Hiroshima to commerorate the event. One day I would like to be there for it. 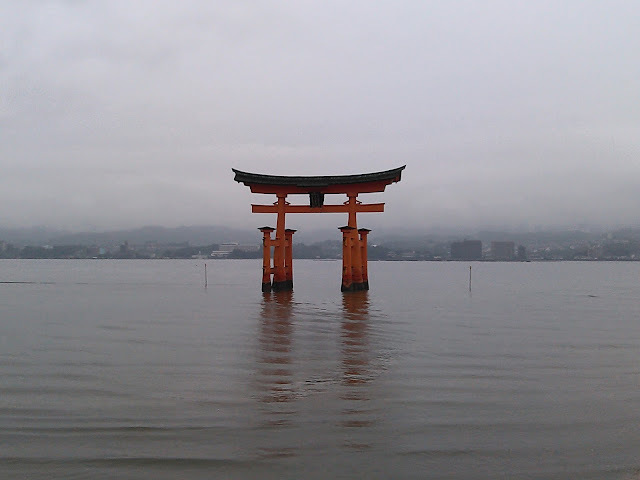 The Grand Gate is amazing, and I was really happy to be there at high tide as that is when it is most spectacular.